As homeowners, we always try to find ways to cut our energy usage so we can save more money and help the environment. Many people first look at their HVAC unit, then their household appliances for more energy efficient products. However one component we rarely look at is our garage door as a solution. Supertech Garage Door Service would like to explain why you should pay closer attention to your garage doors and how you can save more money on cutting back on your energy usage just by having a more energy efficient garage door. There are many reasons why you should go with an energy efficient garage door. For those who spend a lot of time working in their garage on various projects, the working man often uses air conditioning and heating in their garage to make their work place more comfortable. Why spend the money to do that if your garage doors are not properly insulated? You might as well just burn your money because without proper insulation, your attempts to regulate the temperature inside the garage are for naught. That is why it is important to have a properly insulated garage door. On top of saving you energy, a well insulated garage door also cuts down on the loud noises that often get created by our garage projects. 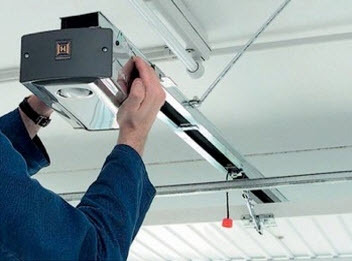 So if you’re convinced to start shopping around for a more energy efficient garage door, there are a few things you will want to be on the lookout for. First check the R Value of the garage door. The R Value measures the insulation quality of the garage door. The insulation is achieved in multiple ways. However it mostly consists of different types of material and insulation methods. So after inspecting the insulation quality, next you will want to check for the potential air leaks. 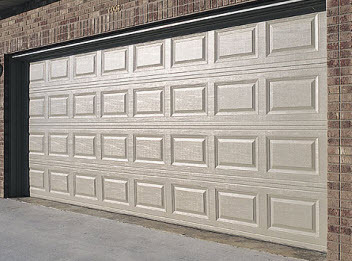 When shopping for a garage door you should consider the material you chose from. Wood, steel, aluminum and composite wood each have their own benefits and insulation qualities. – Steel is the most popular material used for garage doors today. It’s one of the most popular because it is a durable option. However it is not the most insulated material on the market. The low gauge steel which is thicker will offer better insulation than using a thin high gauge steel. If you use steel for a garage door, use one with multi-layer doors with insulation in between each layer. 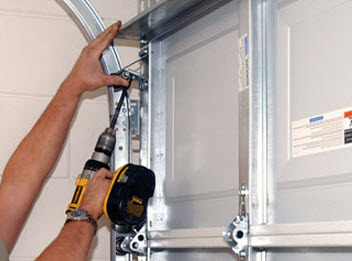 This will greatly improve the insulation of a steel garage door. – Aluminum doors have poor insulation qualities but are used for their modern look and light weight qualities. – Wood garage doors are a higher end material garage door that adds a great classy look. However it’s not the top ranking insulated garage door and not the most durable. – Composite wood is becoming more popular as time goes by. It is a better alternative than using real wood for many reasons. It is more durable to the elements, and is low maintenance. It has as good an insulation benefit as the steel garage door with its steel interior and the faux wood composite overlay that adds to the insulation. If you’re on the market for a garage door, consider having a better insulated door to help improve your power usage. Supertech Garage Door Service can help you with all your garage door needs. Whether you’re replacing or repairing, call us today and see what we can do for you.